In the past we have had some incredible dramatic pairings from famous Hollywood buddies: like Redford and Newman in Butch Cassidy and the Sundance Kid or Affleck and Damon in Good Will Hunting. 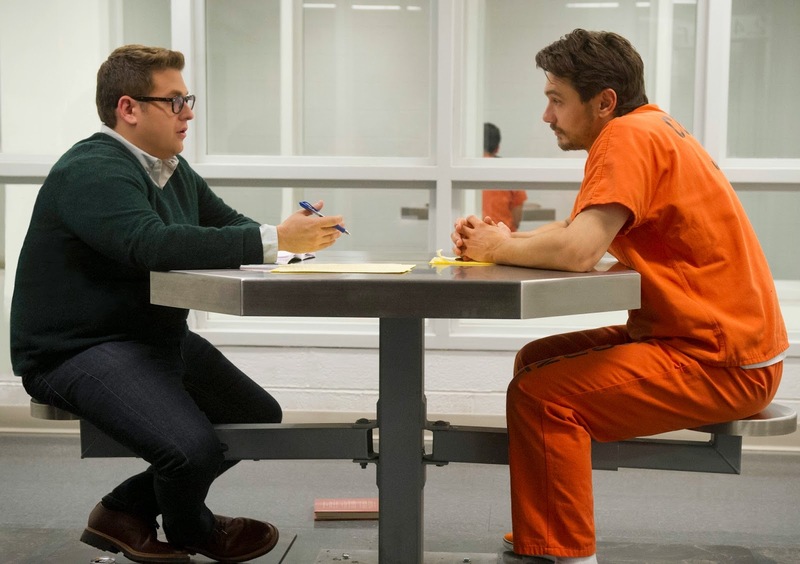 Sadly James Franco and Jonah Hill's dramatic true crime collaboration True Story is unlikely to be joining this iconic list. Hill stars as Mike Finkel, a recently fired New York Times reporter, who finds out that convicted murderer, Christian Longo (Franco), has been posing under his name. The pair strike up an unorthodox relationship as Finkel begins to write a book about the murder as the trial commences. There is something inherently stale and lethargic about True Story and it is never quite clear what spark that director Rupert Goold saw in Finkel's memoirs. The originality in the story appears to be that Longo adopts Finkel's name as some part of a wider, more manipulative scheme - but this core concept never feels fully fleshed out in True Story. Instead this is a star vehicle comprised of muted interviews and stuffy courtroom scenes. Goold's film simply is not interesting enough to engage - it lacks the emotional shocks that thrive in true crime tales, whilst the element of doubt and potential outcome of the case never feels like it carries much narrative weight or tension. We simply don't care how the trial ends. Whilst he has proven himself an outstanding dramatic talent in his supporting roles in The Wolf of Wall Street and Moneyball, Hill is simply not convincing as a dramatic leading man. He is never believable as a New York Times reporter - especially in the film's stilted opening scenes capturing him working on a story in Africa. We never get the sense that Hill's Finkel really cares about the outcome of any of his stories - particularly the one at the heart of the film. Franco fares slightly better, albeit this is far from his most interesting performance. The actor brings a glazed-over passivity to the role, yet is most interesting when letting the more malevolent aspects of Longo's personality slip out. Felicity Jones is squandered in a thankless supporting turn as Finkel's bizarrely doting wife. Lacking the tension and narrative doubts of great courtroom dramas, and without the darkness of the best true crime films, True Story feels like an insubstantial watch that is unlikely to engage viewers. Franco is somewhat enjoyable to watch in this darker role, but Hill proves entirely miscast.